Are you ready for the EIKEN exam? 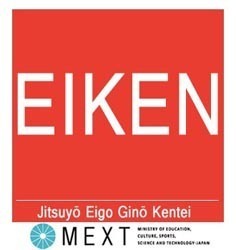 The STEP EIKEN (Jitsuyo Eigo Gino Kentei) is taken by over 2 million students every year. It is administered by the by the Japanese Ministry of Education and is accepted at thousands of high schools, colleges and universities around Japan. For a Japanese student, doing well on the EIKEN exam can be the difference between getting into a good school or not. Are you ready to take the EIKEN test? Can you easily follow and understand recorded English conversations? Are you able to quickly and accurately fill in the blanks on English sentences? Do you know how to rearrange words in a jumbled up sentence? Can you write 200 word passages with perfect grammar and spelling? Are you able to give a speech based on random topic cards? Do you feel comfortable with your current English pronunciation? If you answered 'no' to any of those questions, you may want to speak with one of Live Lingua's EIKEN tutors. The first trial EIKEN class is absolutely free. You can speak with the tutor to see if they think you are ready for the EIKEN test and they can propose a study plan for you. No credit card required, and no commitment. The STEP EIKEN (Jitsuyo Eigo Gino Kentei) Grade 5 exam is for younger students and is the most basic level of the EIKEN exams. It test to see if the student has understanding of subjects such as the English alphabet, punctuation marks, basic phrases, and expressions. It also tests if a student is able to write using the English alphabet. The student should also be able to use all of these skills in basic English speech. It consists of the following sections. Sentence Completion: 10 minutes - 15 short texts (one or two sentences/dialogues) from which one word or phrase has been omitted. Fill in the Gap: 10 minutes - 5 short texts (dialogues) from which one or two phrases have been omitted. 5 short texts (dialogues) from which one or two phrases have been omitted. Word reordering: 5 minutes - A sentence is provided from which four words have been removed and are scrambled. Examinees reorder the words to complete the sentence. A Japanese translation of the sentence is also provided. Conversation completion: 5 minutes - EIKEN examinees listen to short conversations and choose the best response to complete the last turn of the conversation. All conversations are heard twice. An illustration provides contextual information about the situation. Q&A based on dialogues: 5 minutes - 10 recorded conversations followed by questions. All conversations are heard twice. Matching: 10 minutes - 10 illustrations are provided in the test booklet. Examinees listen to three short statements for each illustration and choose the statement that best describes the action or situation in the illustration. All statements are heard twice. Do you have any questions about the STEP EIKEN (Jitsuyo Eigo Gino Kentei) Grade 5 exam? You can speak to one of our EIKEN tutors for free to ask any question you may have. They will speak with you and evaluate how prepared you are. The STEP EIKEN (Jitsuyo Eigo Gino Kentei) Grade 4 exam is built upon the Grade 5 exam. It tests all of the same bases and but also builds on them by also adding the understanding of simply English signs and texts. It also wants to see that the student is now able to speak with simple sentences instead of just with a word. Students who pass the EIKEN Grade 4 exam must have a basic understanding of English grammar and structure. It consists of the following sections. Fill in the Gap: 10 minutes - 5 short texts (dialogues) from which one or two phrases have been omitted. Q&A based on passages: 10 minutes - Understanding a poster, letter, email, advertisement, or memo. Word reordering: 5 minutes - A sentence is provided from which five words have been removed and are scrambled. EIKEN examinees reorder the words to complete the sentence. A Japanese translation of the sentence is also provided. Conversation Completion: 10 minutes - EIKEN examinees listen to short conversations and choose the best response to complete the last turn of the conversation. All conversations are heard twice. An illustration provides contextual information about the situation. Q&A based on dialogues: 10 minutes - 10 recorded conversations followed by questions. All conversations are heard twice. Q&A based on monologues: 5 minutes - 10 recorded stories or explanations followed by questions. All stories/explanations are heard twice. Do you have any questions about the STEP EIKEN (Jitsuyo Eigo Gino Kentei) Grade 4 exam? You can speak to one of our EIKEN tutors for free to ask any question you may have. They will speak with you and evaluate how prepared you are. Like the Grade 4 exam, the STEP EIKEN (Jitsuyo Eigo Gino Kentei) Grade 3 exam is built upon the prior level. At this level, the student is expected to be able to understand and use the language necessary for common everyday topics. To test this, the student will be made to read simple stories, texts and articles and then asked to write and speak about them. They will also be read simple English passages and be tested on their comprehension. It consists of the following sections. Sentence Completion Section: 10 minutes - 15 short texts (one or two sentences/dialogues) from which one word or phrase has been omitted. Fill in the Gap Section: 10 minutes - 5 short texts (dialogues) from which one or two phrases have been omitted. Word reordering: 10 minutes - A sentence is provided from which five words have been removed and are scrambled. EIKEN examinees reorder the words to complete the sentence. A Japanese translation of the sentence is also provided. Conversation Completion: 10 minutes - Examinees listen to short conversations and choose the best response to complete the last turn of the conversation. All conversations are heard twice. An illustration provides contextual information about the situation. Speaking: No Time Limit - EIKEN examinees are evaluated on their responses to each of the tasks and for their attitude toward actively engaging in communication. The following categories are also taken into account: pronunciation, vocabulary, and grammar. Do you have any questions about the STEP EIKEN (Jitsuyo Eigo Gino Kentei) Grade 3 exam? You can speak to one of our EIKEN tutors for free to ask any question you may have. They will speak with you and evaluate how prepared you are. The STEP EIKEN (Jitsuyo Eigo Gino Kentei) Grade pre-2 exam tests to see if the student can use and understand English well enough to take part in the typical daily activities they do. This means they can not only understand and participate in basic group conversations but also that they are able to understand and describe abstract ideas such as graphs, and tables. They should also be able to read an write about their daily routine. It consists of the following sections. Sentence Completion Section: 30 minutes - 20 short texts (one or two sentences/dialogues) from which one word or phrase has been omitted. Fill in the Gap Dialogues: 15 minutes - 5 short texts (dialogues) from which one or two phrases have been omitted. Fill in the Gap Passages: 10 minutes - 2 passages from which several words or phrases have been omitted. Q&A based on passages: 10 minutes - 2 passages followed by questions. Do you have any questions about the STEP EIKEN (Jitsuyo Eigo Gino Kentei) pre-2 exam? You can speak to one of our EIKEN tutors for free to ask any question you may have. They will speak with you and evaluate how prepared you are. The STEP EIKEN (Jitsuyo Eigo Gino Kentei) Grade 2 exam tests to see if the student is able to interact not only in common day to day situations but also in a social, professional and educational envirnoment. To pass the EIKEN grade 2 exam the student must be able to write long English essays, speak about daily experiences, understand expalanations of common activities and read long passages and understand their content clearly. It consists of the following sections. Fill in the Gap Passages: 20 minutes - 2 passages from which several words or phrases have been omitted. Q&A based on passages: 10 minutes - 3 passages followed by questions. Word reordering: 10 minutes - A five-word section of a short text is removed. The words are arranged below the text in a scrambled order. Do you have any questions about the STEP EIKEN (Jitsuyo Eigo Gino Kentei) 2 exam? You can speak to one of our EIKEN tutors for free to ask any question you may have. They will speak with you and evaluate how prepared you are. The STEP EIKEN (Jitsuyo Eigo Gino Kentei) Grade pre-1 exam tests that the student has an even stronger understanding of how to us English in academic, professional and social settings. They must be able to understand text from a range of different topics, comprehend a wide variety of audio topics, clearly express their opinion in spoken English and write at length about everyday life in a clear and well structured manner. It consists of the following sections. Q&A based on passages: 20 minutes - 3 passages followed by questions. Essay: 20 minutes - Write a 100 word response to letter or e-mail. Q&A based on dialogues: 10 minutes - 10 recorded conversations/discussions followed by questions. Q&A based on monologues: 10 minutes - 5 recorded announcements, advertisements, news stories, or short lectures followed by questions. Q&A based on monologues: 5 minutes - 5 recorded announcements, advertisements, news stories, or short lectures followed by questions. Speaking: No Time Limit - Examinees are evaluated on their responses to each of the tasks and for their attitude toward actively engaging in communication. The following categories are also taken into account: pronunciation, vocabulary, and grammar. Do you have any questions about the STEP EIKEN (Jitsuyo Eigo Gino Kentei) pre-1 exam? You can speak to one of our EIKEN tutors for free to ask any question you may have. They will speak with you and evaluate how prepared you are. The STEP EIKEN (Jitsuyo Eigo Gino Kentei) Grade 1 exam is the highest level. To get this certificate the student must be able to speak, read, write and understand English at a high level. They should be able to deal in multiple ways with different English situations and problems as well as understand both the details and sentiment of English when it is spoken or written. All top Japanese universities require that the student pass the grade 1 exam. It consists of the following sections. Sentence Completion Section: 35 minutes - 25 short texts (one or two sentences/dialogues) from which one word or phrase has been omitted. Q&A based on passages: 25 minutes - 2 short passages and 1 long passage followed by questions. Essay: 25 minutes - Write a 200 word response to letter or e-mail. Real-life Listening: 5 minutes -5 recorded announcements, advertisements, news stories, or short lectures followed by questions. EIKEN examinees read a short description of the situation, and the question, before listening. Q&A based on long interview: 5 minutes - 1 recorded interview followed by questions. Conversation: 1 minute - EIKEN examiners engage examinee in free conversation. Short speech: 3 minute - EIKEN examinee chooses 1 topic from 5 choices on Topic Card and gives a speech based on the topic. Q&A: 4 minute - EIKEN examiners ask questions based on speech content and topic. Do you have any questions about the STEP EIKEN (Jitsuyo Eigo Gino Kentei) grade 1 exam? You can speak to one of our EIKEN tutors for free to ask any question you may have. They will speak with you and evaluate how prepared you are. Speak To A EIKEN Tutor Today! What makes Live Lingua EIKEN tutoring different from the local tutors or enrolling at a local language school? And best of all, we let you meet and speak to your future EIKEN teacher before having to commit to paid classes! The more EIKEN lessons you enroll in at the same time, the cheaper the hour of class gets. Still not sure if Live Lingua EIKEN tutoring is the right choice for you? Then just try a free lesson with one of our tutors to make sure. No risk, no commitment. "The English lessons were great. I already spoke pretty advanced English, but I had trouble understanding my coworkers when they spoke quickly. I practiced for 6 months with three English teachers on Live Lingua and I can now understand everything, even when people are speaking fast." "Skype English lessons were exactly what I was looking for to learn English. My teacher worked around my busy work schedule, and my co-workers are amazed at my progress." "Wonderful. I love the English exercises and try to do a few each day to improve my English."